Product code: N622 Categories: Sold Items, Sold Watches. Collecting and owning vintage watches gives many people such a range of different watches to collect and admire, and this vintage watch by Girard Perregaux from the 1970’s is no exception. This is a fantastic manual wind model with the alarm function, that is often called a “cricket” watch due to its alarm sound. These alarm watches are also famously made by Jaeger LeCoultre in the form of the Memovox, so to get one by Girard Perregaux is great, and also a whole lot les than a Jaeger. Fitted in a stainless steel case measuring 36mm plus the 2 crowns, this watch looks great on the wrist and can so easily be worn on a daily basis. 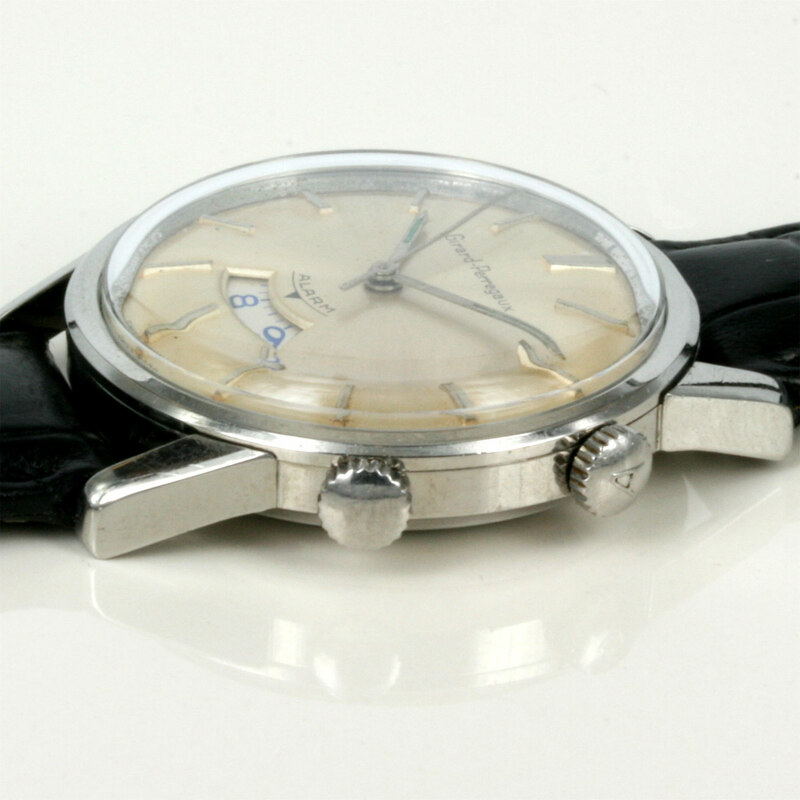 A fantastic vintage Girard Perregaux alarm watch that will will be any conversation starter.